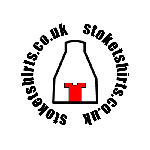 Still in some shock that Stoke signed an England class International? 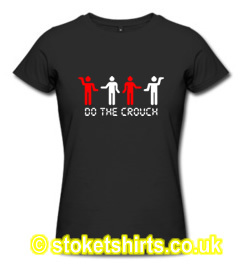 We've wasted no time in creating this design to celebrate Crouchie's errr - "celebration"! Yes, follow the red and white stickmen and get ready to mimic his trademark routine - The Robot or The Crouch. Not seen in Stoke colours yet, but maybe with enough encouragment it'll be appearing at a corner flag near you soon. Get ready to Do The Crouch!